Semi-colons. You may know some complicated rules about using semi-colons, but we decided to simplify your task. Read your sentence, and listen to your pauses. If a pause is short, use a comma. If it’s a long pause, but you’re not going to stop your sentence, use semi-colons. We also suggest you not to use commas when you don’t want your readers to pause. Unnecessary commas will only make your text difficult to read and understand. Dashes and hyphens.Every time you need to write a separate part of the phrase – like this one – within your sentence, you should use a long dash, which is also called the m-dash. Make sure that your sentence sounds naturally if you remove that part from the sentence. Dashes are also used when you have to list several items, or when a certain part of the sentence is unexpected and surprising, or when you want to dramatically highlight following words – just like in this sentence. Hyphens are used to connect various words into a single structure: son-in-law, one-third, broken-hearted. Don’t split infinitives.This is not a strict rule, since sometimes keeping infinitives together may look stranger than splitting them. However, in most cases splits look awkward. Check your referents. Every time you want to write “it”, “she”, or “he”, make sure that your readers understand what you are talking about. “This”. Usually we use this word when we are not sure what exactly we want to point to. It’s a bad habit, since if you don’t understand clearly what you’re talking about,your readers won’t understand it either. This question may seem not really important, unless you have to write a complicated sentence which consists of various elements. In this case, the word “this” may make reading of your text much more difficult. “That”. You can say “the book that I read”, or “the car that was stopped by a policeman”, but not “the man that walked into a bar”. If you’re talking about people, always use “who” and “whom” instead of “that”. You can just notice it and recall this simple rule every time you want to use “that”. Maybe you choose to use “that”, because you’re not sure, should it be “who” or “whom”? Just remember that “who” refers to the subject, in other words, to somebody who does the action. In turn, “whom” is used for the object. It’s better to learn some rules once, and then write easily. Otherwise, you’ll be always unsure about your text, trying not to make a mistake, or making mistakes without realizing it. Passive voice.Sometimes you have to use it, but let’s be honest, usually you can easily replace passive constructions. Being written in a passive voice, your claims sound weaker, and less persuasively. 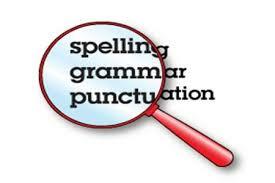 Underlines and italics.Make sure that you use either underlines or italics. Don’t use both types of text at the same time, it looks messy, and it is somewhat similar to double negatives. The point is that many years ago, editors used underlines to mark words that must be printed italic. When editors underlined italics, it meant that this part of the text shouldn’t be italic. We hope that this story will clarify such a question for you. Write your sentences according to the parallel construction. Look at this sentence: “Reading my text, I see it’s informative, interesting, and with no mistakes”. This sentence doesn’t have parallel structure. This is how it must look like: “Writing my text, I see that it’s informative and interesting, and that it has no mistakes”. If you remove any word from the sentence with parallel construction, it still will make sense.